Tim and Cathi were making progress on renovating their kitchen. 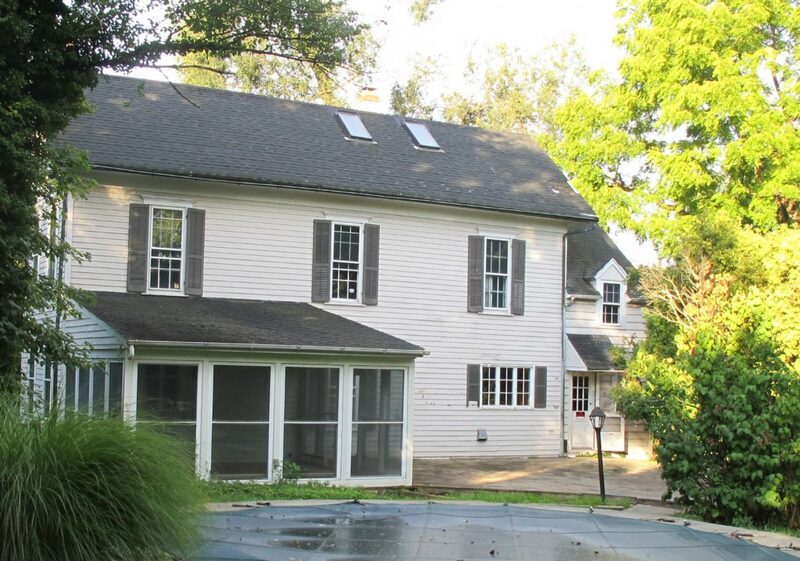 They were working with an architect, they had their drawings, and they were getting close to starting… when Cathi found a house just up the street that was absolutely perfect. Perfect for a growing family if you could look past the abandoned home’s crumbling patio, the failed windows, the bombed out kitchen… and that its most recent residents were 6 or 7 feral cats. 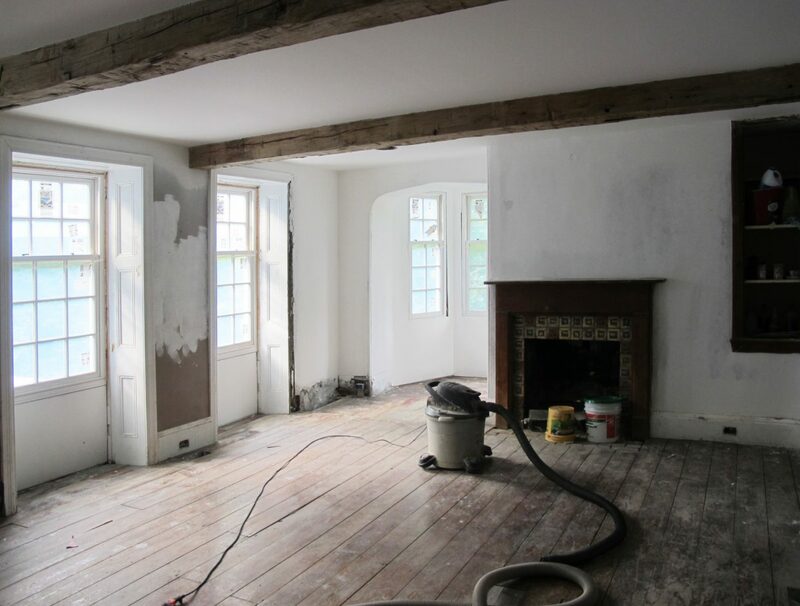 At this point who is counting… Oh by the way did I mention how much experience our owners had with renovating? Zip, zero, nada. The addition of skylights, a failed 1970s 3-season room, rotting windows and an asphalt roof added over the original cedar, concealed this home’s original charm. 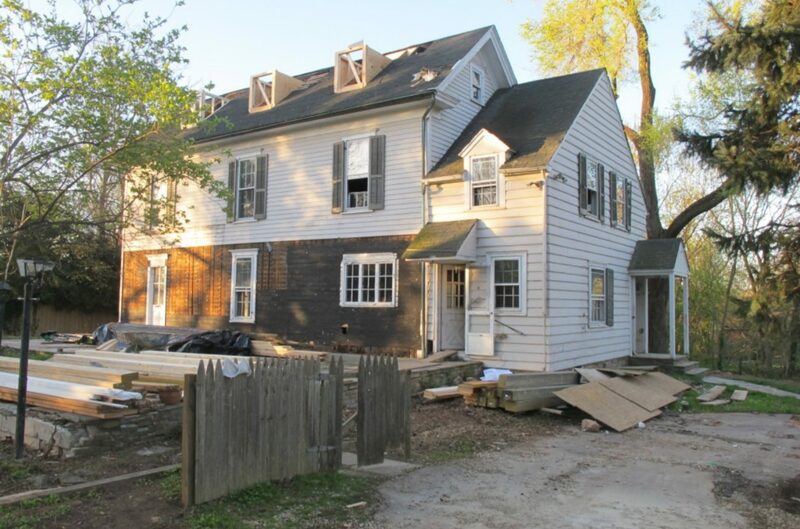 Exterior progress – Dormers partially framed, sunroom demolished, siding partially removed. 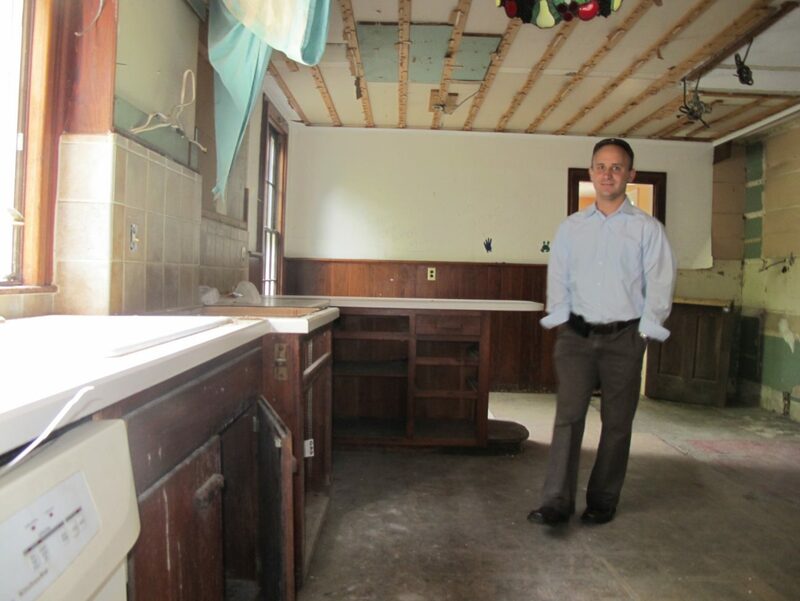 The man with a plan, Joe Mackin from Period Architecture, presenting the vision for the new kitchen. Overgrown and under cared for. 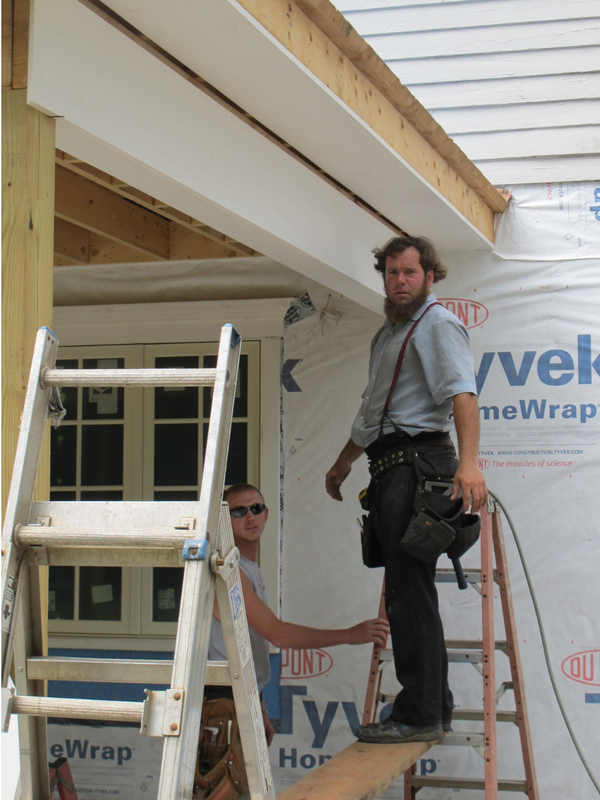 Rueben adding the trim work to the new porch he just built. (Usually he is smiling at me…). So how did it go? 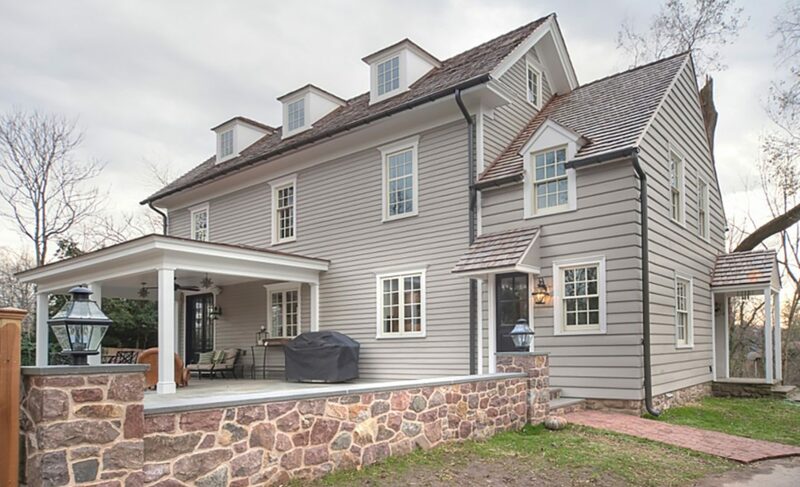 Joe Mackin crafted a plan that preserved the best elements of the exterior, added dormers for functionality and aesthetic appeal and completely reconfigured the 2nd floor into a modern space that can be used and enjoyed by parents and children alike. 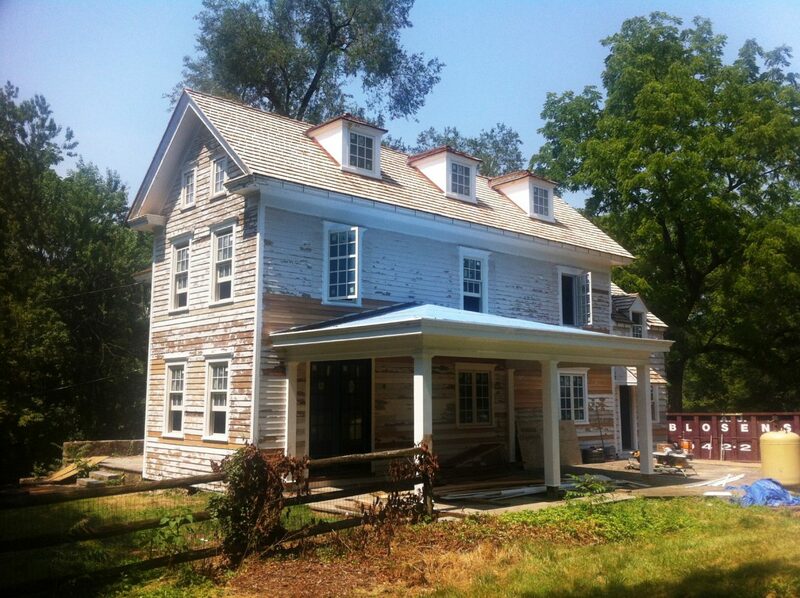 The dormers have been added to the roof and the new porch project is underway. It turns out Tim and Cathi were excellent at renovating. Cathi was great at blending traditional design with a fun few eclectic choices that just rock. More than once I would see a light fixture and wonder how is she going to pull that off. Sure enough, the rest of the selections would show up and wow, it looked awesome. 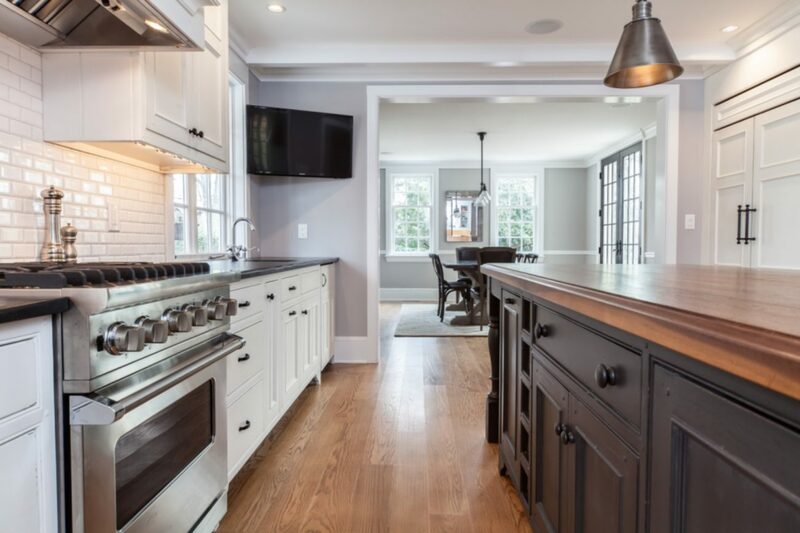 Taking the kitchen a step back is the first move in creating flat floors and the right structure to attach beautiful finish products to at the conclusion. 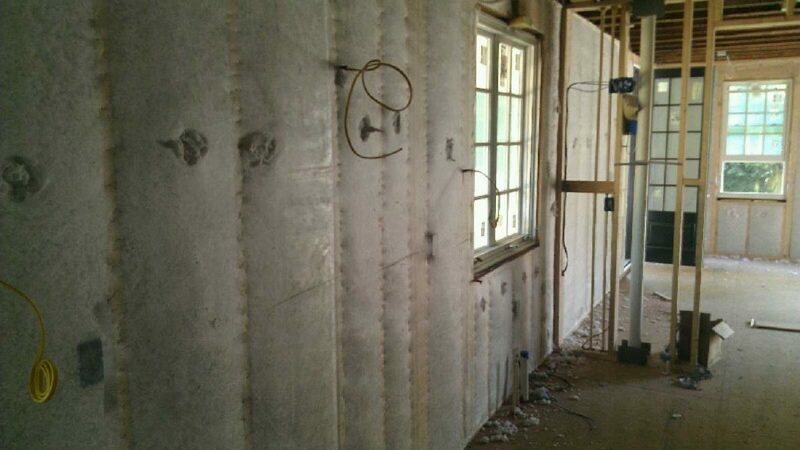 Adding a highly efficient insulation means excellent comfort and greatly cuts down on noise from the street. 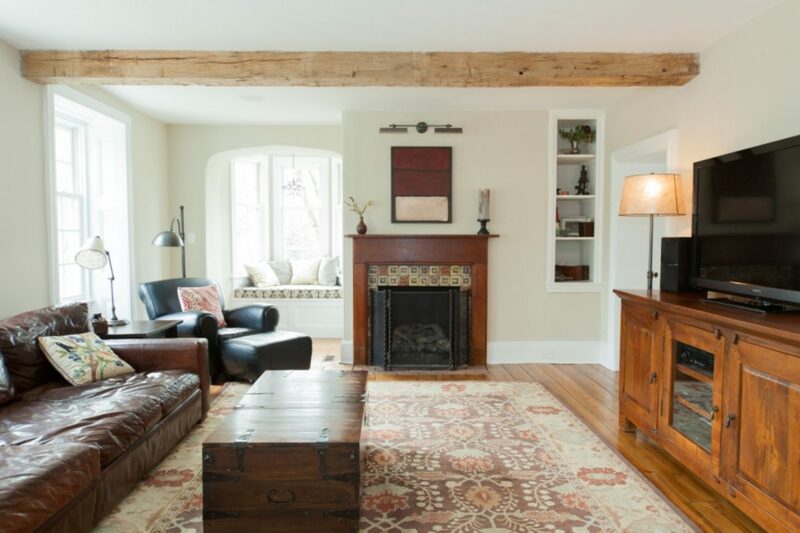 The living room comes alive with refinished floors and the addition of reclaimed beams in the ceiling. 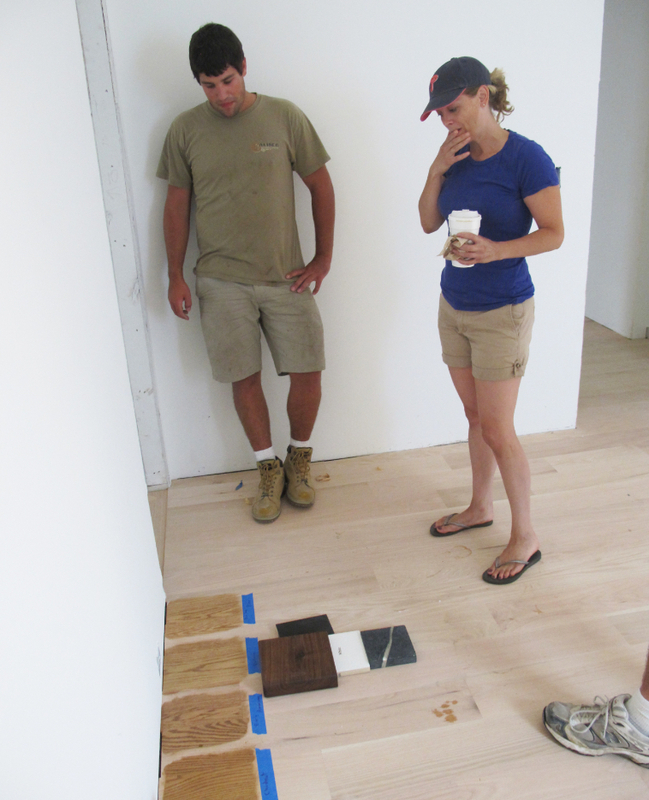 Our floor finisher is excellent at creating “on the floor” samples areas. 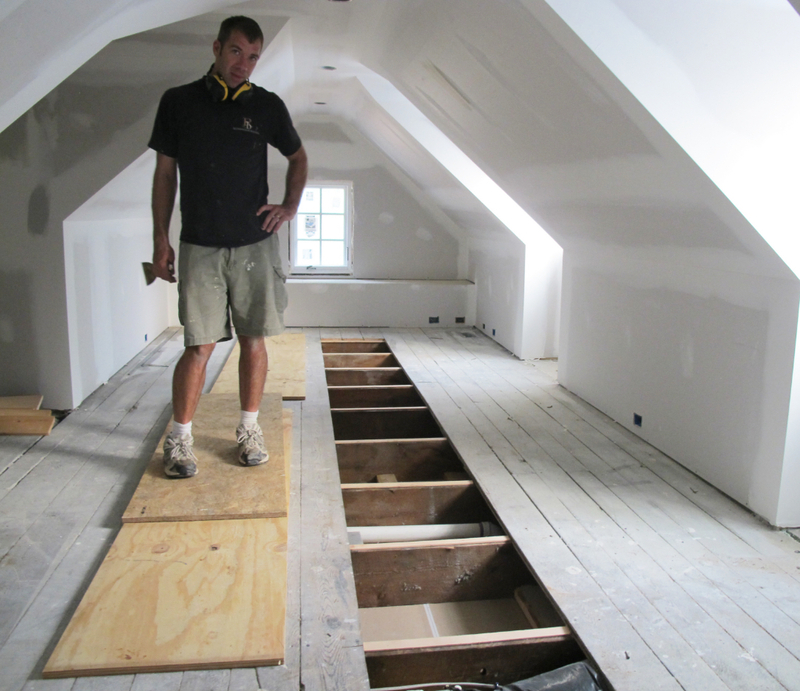 “Stealing” original floor boards from the attic to patch-in original wood floors in the rest of the house. One of the joys of remodeling is finding artifacts from bygone eras. 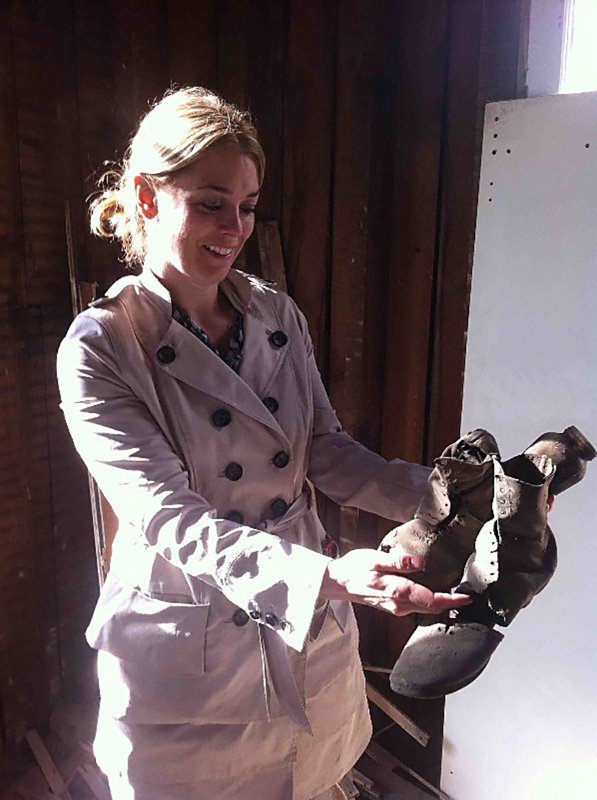 Cathi is holding shoes that were tucked away with newspapers about the time of the Titanic’s voyage. And now… drum roll please. New stone sitting wall defines the outdoor living space. 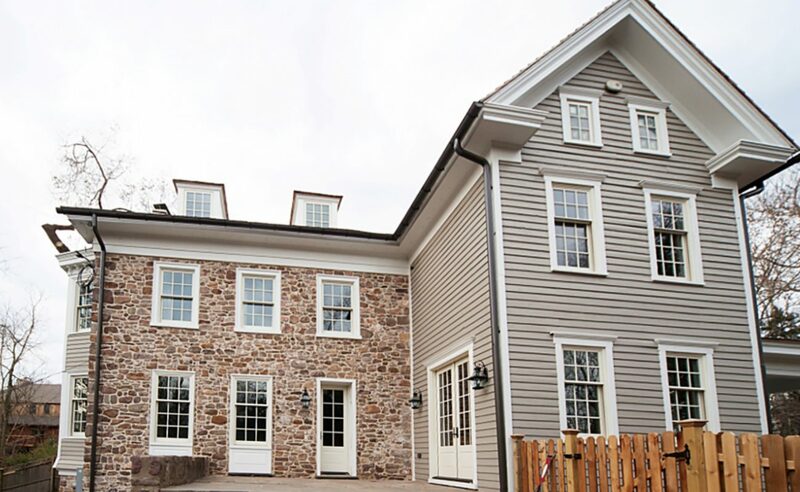 New dormers, new windows, re-pointed stone and reworked trim will protect and add beauty to the exterior of the home. The kitchen, now completed, is brightly lit and a cheerful place to live and work. 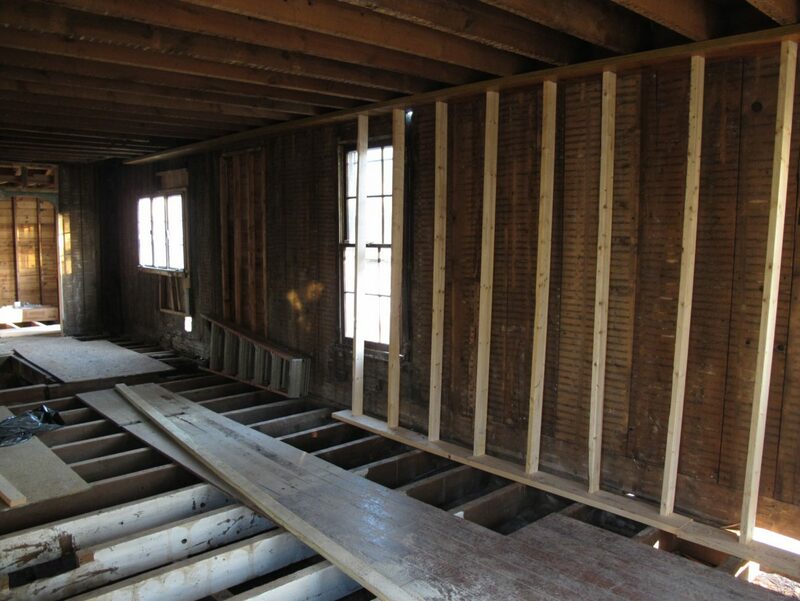 We kept the original floors in the living room and the great feel of the windows and paneling. 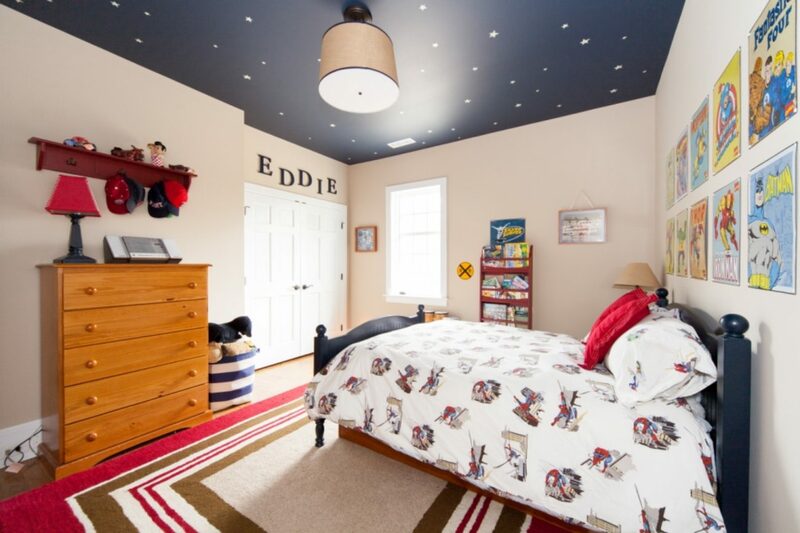 Just how much fun would it be to call this your son’s bedroom? 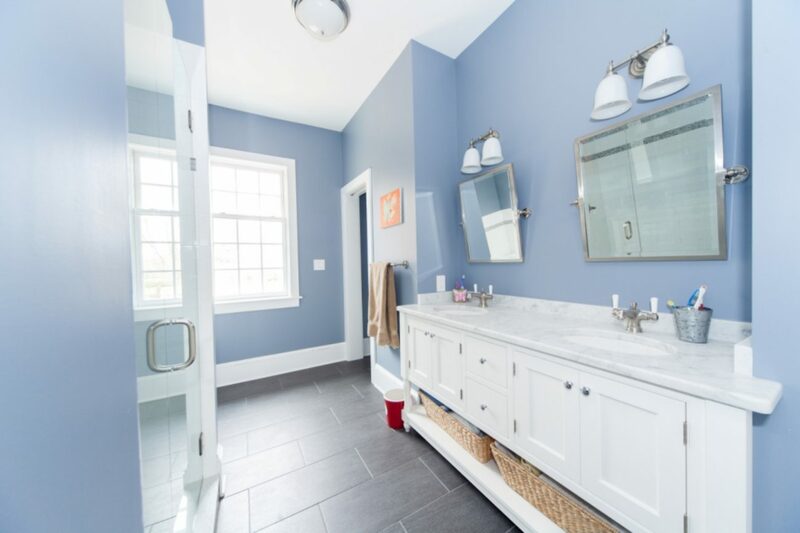 A terrific Jack and Jill Bath. Master closet with a view of the master bath and bedroom. Close to the end of her project, Cathi even participated with us on a 12-person Rittenhouse Builders team in a 200 mile Ragnar relay running race. 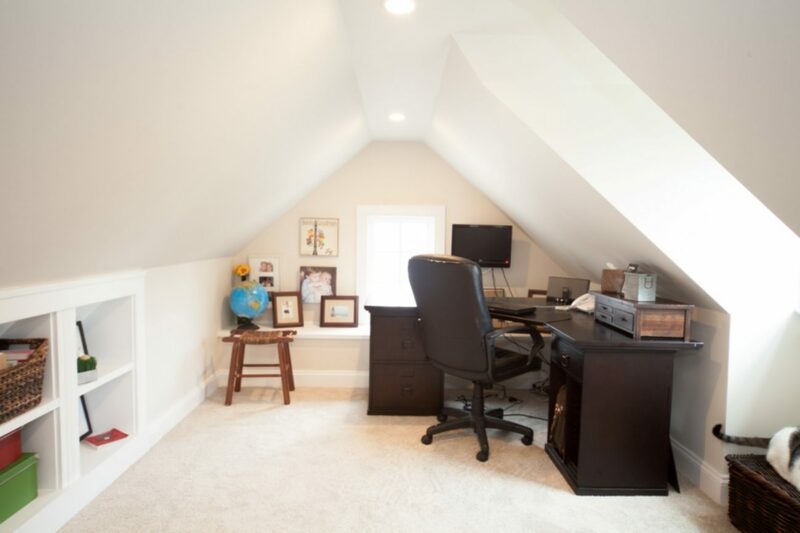 In the beginning of a project, we have clearly defined identities: client, builder, architect. By the end, we still have specific jobs to do but we are one successful team. I think we all hit the lottery working together. 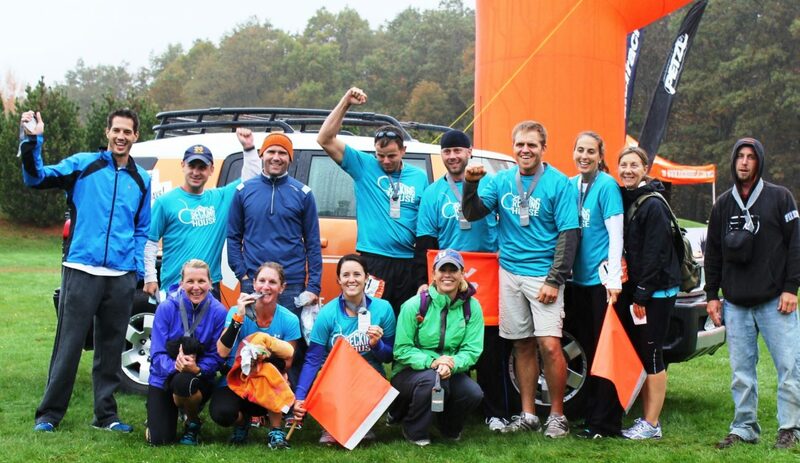 Joe Mackin is standing 2nd from left, Cathi is kneeling on far right at the successful conclusion of the Team Reckinghouse 200 mile running relay race. 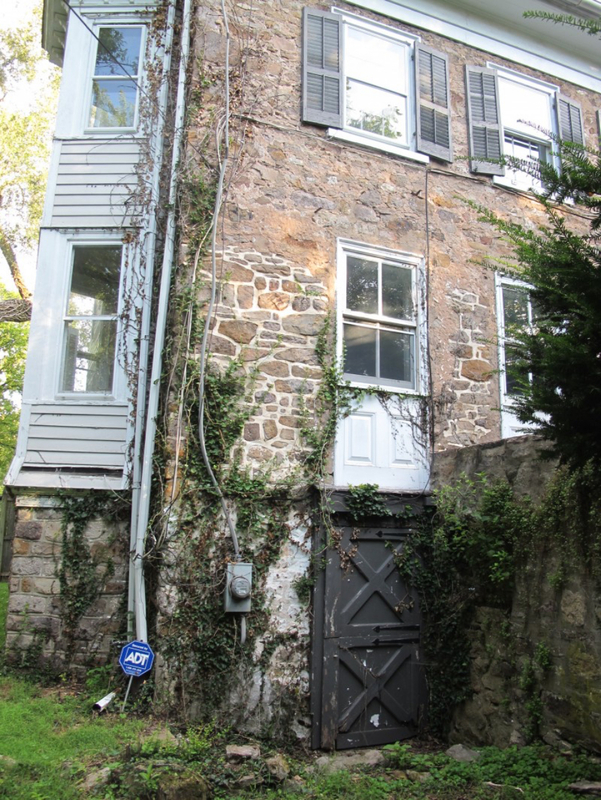 The team was a collection of Rittenhouse clients, employees and industry colleagues. Even if you aren’t an avid gardener, if you live in the Philadelphia area you probably have visited Longwood Gardens several times. Someone’s in from out of town and you need to entertain… the obligatory trip to Longwood is sure to entertain and impress.